Sign up for HSRN News! Missouri, Nebraska, Kansas, and Iowa each have groups that work to spread self-advocacy among people with disabilities, whom we call “self-advocates.” In 2014, we joined together to form the Heartland Self-advocacy Resource Network (HSRN). HSRN has helped us think about our states and our self-advocacy education efforts from new perspectives. As Heartland partners, we’re helping each other find strengths and weaknesses we didn’t appreciate before. We’re also helping each other make new plans for outreach and solve problems our states are facing. 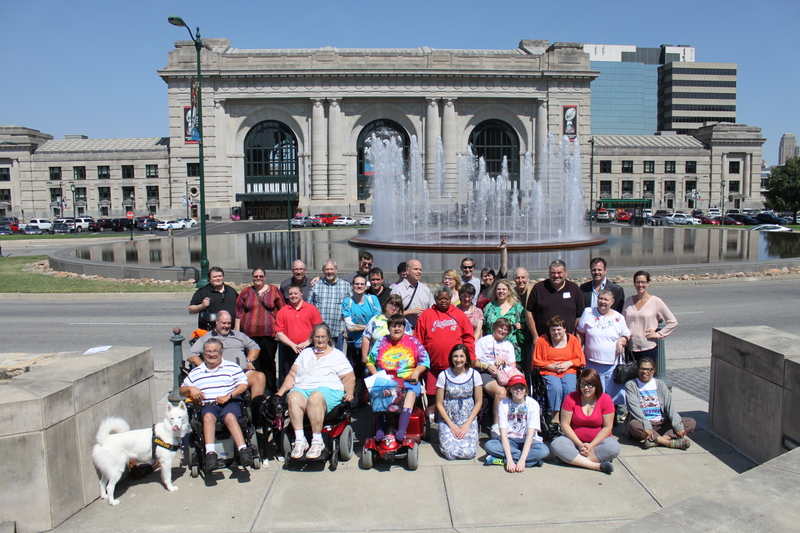 The goal of HSRN is to reach more self-advocates in Missouri, Kansas, Nebraska, and Iowa, to offer regional opportunities for mentoring, training, and leadership development. This website is a way for us to share the resources we gather and produce through this project. We hope the information you find here is useful for you and others who are building self-advocacy throughout the nation and beyond. Sign up to stay up to date on HSRN news and events!